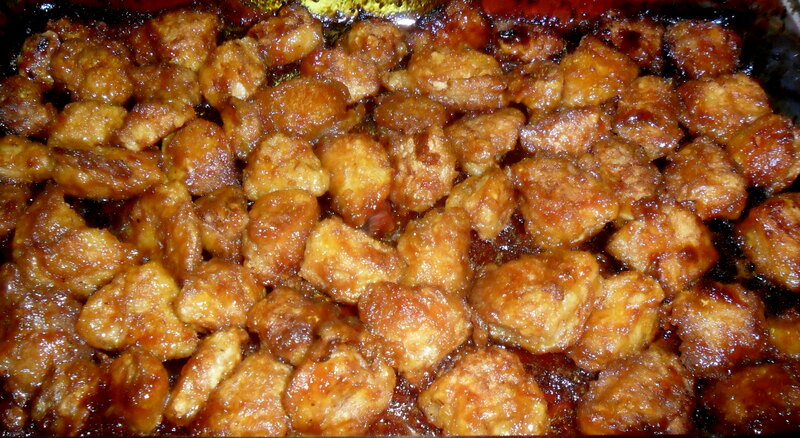 Sweet & Sour Chicken and Fried Rice | Mommy, I'm Hungy!! ← Welcome to Mommy I’m Hungy!! I actually faced one of my fears tonight and made Chinese food for dinner. I’ve always been afraid to fix Chinese food because I figured I couldn’t possibly make it as good as the restaurants because they use some secret ingredient that nobody knows about, don’t they? Apparently they don’t….because mine tasted as good if not better than what I get at the restaurants. Plus, I love that it is baked instead of deep fried in all of that grease and it tastes awesome!! 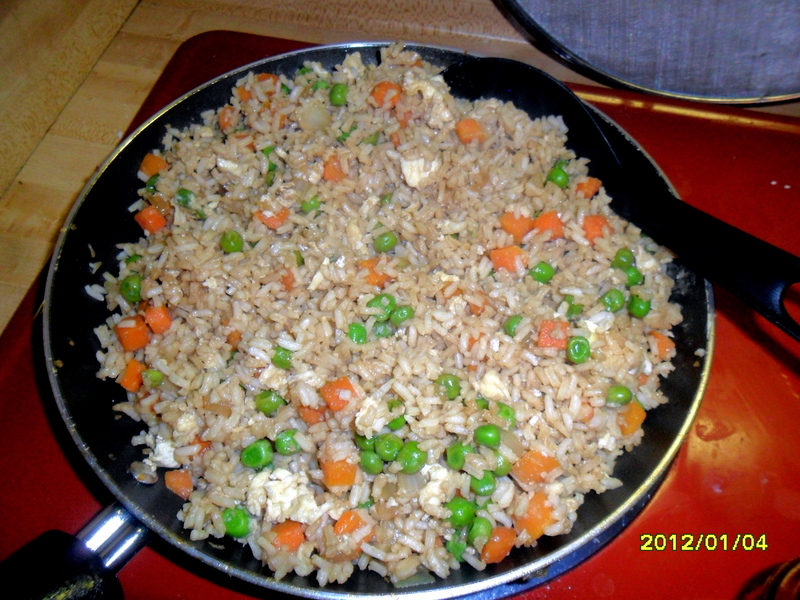 This was extremely yummy and everyone, even my 2 1/2 year old who loves rice, peas and carrots, ate it all up! On medium high heat, heat the oil in a large skillet or wok. Add the peas/carrots mix, onion and garlic. Stir fry until tender. Lower the heat to medium low and push the mixture off to one side, then pour your eggs on the other side of skillet and stir fry until scrambled. Now add the rice and soy sauce and blend all together well. Stir fry until thoroughly heated! YUMMO!! This rice was amazing as well and my daughter especially loved it! She had two helpings!! You too can cook Chinese food at home that tastes better than the restaurants! I hope you get to sit down to a plate like this very soon! !